[Interview] San E and Mad Clown answer your questions on their first tour, free time activities, and more! San E and Mad Clown are here with the answers to your questions! In light of their very first U.S tour together, allkpop prepared an exclusive chance for you to ask anything and everything to the duo. And now, after looking over the interesting Qs, they are here with the interesting answers! 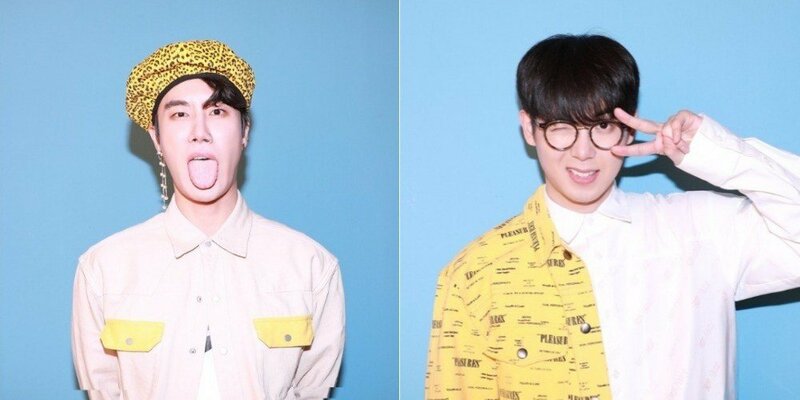 Check out what San E and Mad Clown have to say and see if your questions are answered! This is your first U.S tour together. Tell us about your shows. How's it going? Mad Clown: The vibe changes depending on the venue and the audience but one common thing about all the shows was the powerful energy. We are receiving great love throughout our tour no matter the size of the audience. Mad Clown: Boston is one of the cities that I love. The atmosphere and culture of the city was very charming to me when I (first) visited it 10 years ago. Stephanie M: What's the best part about collaborating together? Mad Clown: The things I need to do is cut down in half? Eottoke: To San E: Since you're a former JYP artist, what are the differences in working under JYP as solo artist and your current label? San E: they both great but its more freely in brand new music. AmytheArmadillo: If you both weren't singers, where do you think you'd be? Mad Clown: I really have no idea. I probably am studying in college? Chocolate: Do you always read other people's comments about you/your music? Mad Clown: I read a little bit sometimes. Kitkaat: Are there any recently debuted/new artists whose music you like? Mira: What do you do when you are stressed? Leticia G: Do you guys have any source of inspiration? BritishKpopFan: If you could have personally witnessed anything, what would you want to have seen? Jam: San E, how did you enjoy your experience at UGA (University of Georgia)? I am going there in the Fall. San E: UGA has a beautiful campus. people lovely there. u gon love it. Panda: What Do you do on your free time? Kikaat: Where do you see yourself in 5 years? Mad Clown: Writing or traveling.